Daniel: I’m a developer and my first job was working on a transport logistics system, which was mostly composed of Stored Procedures in SQL Server 2000. Today, I would not build a system with all the logic in Stored Procedures – but that database knowledge is the foundation that I built everything else on. Databases and their data flows will always be the core of most interesting systems. More recently, I have switched from Windows to working with MariaDB on Linux. Grafana Labs uses Percona Server for MySQL for most of our internal applications (worldPing and Hosted Grafana). Working with Grafana also means working with time series databases like Graphite, which is also very interesting. I enjoy working with data as it is one of the ways to learn how users use a system. Design decisions are theories until you have data to either back them up or disprove them. Percona: Your presenting a session called “Visualize Your Data With Grafana”. How does monitoring make DBAs life easier, and how do graphs make this information easier to apply for DBAs? Daniel: Good monitoring provides top-level metrics (throughput, number of errors, performance) for alerting, and other lower-level metrics to allow you to dig into the details and quickly diagnose and resolve an outage. Monitoring also helps you find any constraints (for example, finding bottlenecks for query performance: CPU, row locks, disk, buffer pool size, etc.). Performance monitoring allows you to see trends and lets you know when it is time to scale out or purchase more hardware. Monitoring can also be used to communicate with business people. It is a way of translating lots of different system metrics into a measurable user experience. Visualizing your data with graphs is a very good way to communicate that information, both within your team and with your business stakeholders. Building dashboards with the metrics that are important to you rather than just the standard checklists (CPU, disk, network etc.) allows you to measure the user experience for your application and to see long-term trends. Percona: Why Grafana? What does Grafana do better than other monitoring solutions? 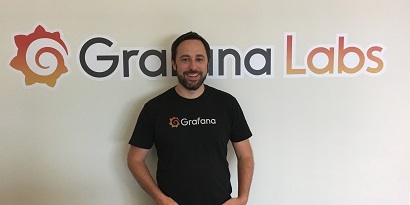 Daniel: Grafana is the de facto standard in open source for visualizing time series data. It comes with tons of different ways to visualize your data (graphs, heat maps, gauges). Each data source comes with its own custom query editor that simplifies writing complex queries, and it is easy to create dynamic dashboards that look great on a TV. Being open source, it can be connected to any data source/database, which makes it easy to unify different data sources in the same dashboard (for example, Prometheus or Graphite data combined with MySQL data). This also means your data is not subject to vendor lock-in like it is in other solutions. Grafana has a large and very active community that creates plugins and dashboards that extend Grafana into lots of niches, as well as providing ways to quickly get started with whatever you want to monitor. Daniel: I want them to know that you can make the invisible visible, with that knowledge start to make better decisions based on data. I hope that my session helps someone take the first step to being more proactive in their monitoring by showing them what can be done with Grafana and other tools in the monitoring space. In my session, I will give an overview of monitoring and metrics, followed by an intro to Grafana. I plan to show how to monitor MySQL and finish off with a quick look at the new MySQL data source for Grafana. Daniel: Firstly, it is always great to have an excuse to visit Ireland (I’m an Irishman living in Sweden). I’m also looking forward to getting feedback from the community on Grafana’s new MySQL data source plugin, as well as just talking to people and hearing about their experiences with database monitoring. Want to find out more about Daniel and data visualization? Register for Percona Live Europe 2017, and see their talk Visualize Your Data With Grafana. Register now to get the best price! Use discount code SeeMeSpeakPLE17 to get 10% off your registration.